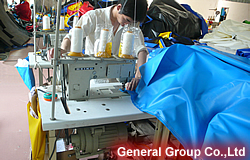 Since 1996, General Group has been the top inflatable manufacturer in China Integrating Producing, Research and Development, Sales. Our annual revenue is increasing every year by 10%., and it has been reached to 9 millions in 2006. 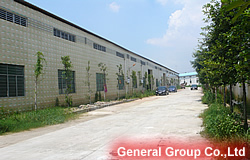 All of our inflatable products are produced according to the ISO Quality Certification and have achieved CE and UL series of certification. Our experienced staff of artisans have enabled us to be recognized as one of the premiere builder of Inflatables worldwide. Children will find their playland in our Inflatable Bouncers, they can play find-and-seek. In the Inflatable Castles, you will find another magical world. With Inflatable Sildes,you can have a feeling when Titanic is sinking. It is really an interesting idea. At the same time, Inflatable fun city is a good choice for children in playland. You can do athletic exercise just using our Inflatable Obstacles and Inflatable Sports. For fishing or other relaxation, you can also choose our inflatable Boats. It is no longer need for you to go to the gymnasium. Also it will be a good activity for team spirit. Our Inflatable Tunnels seem like a lovely train. Inflatable Tents can become an arena as you like. You can hold a vocal concert or a big party in it. When there is a festival, grand opening or an exposition, corporate parties and promotional spectaculars, Inflatable Arches, Air Dancers and Balloons will be very suitable for promotion of your business. Except for business use, our inflatables also can be used for swimming and playing on water, such as Inflatable Pools and Inflatable Water Games. For special use,such as a holiday, there are Inflatable Christmas products, Inflatable Cartoons and Moving Cartoon.